Rotarian Alan Bond, a member and former President of the Rotary Club of Southport Links, died in September 2017 at Southport and Formby District General Hospital. As a memorial family, friends and The Rotary Club joined together to purchase a greatly-needed recliner chair to be used by visiting family in the Oasis Room at the hospital. 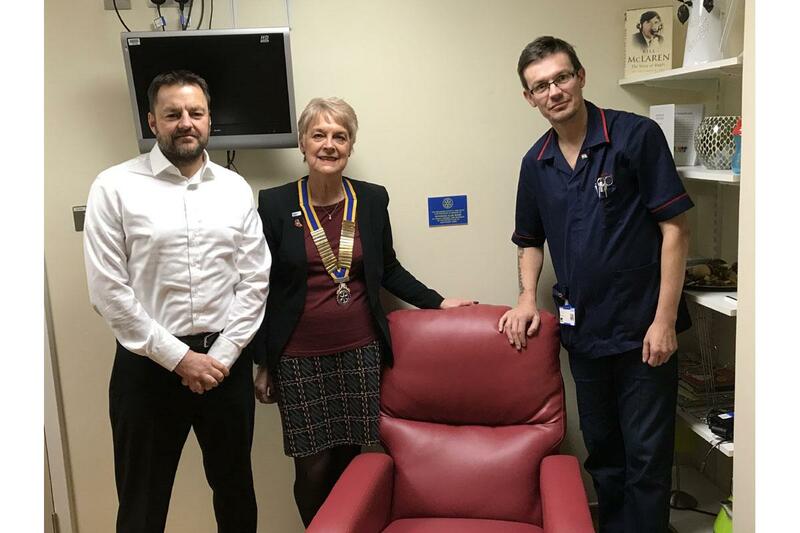 The photo shows the recliner with Alan’s son Steve Bond, Rotary President Patricia McAuliffe, and Mark Soffe, Ward Manager.